Recycling Progress in the U.S. Recycling in the United States has made considerable progress. In 2012, the U.S. generated approximately 251 million tons of waste while 87 million tons (34.5 percent) of that was recycled. Back in 1980, Americans recycled only 15 million tons of waste. The amount of waste recycled in 2012 prevented the release of about 168 million metric tons of carbon dioxide, the equivalent to taking some 33 million cars off the road for a year. In 2012, an average American produced 4.38 pounds of waste and recycled 1.51 pounds. So, it can be said that the U.S. recycling industry has seen a considerable growth over the last few decades, however, there is still a lot of opportunity for improvement. It should be noted there is no national lawmaking recycling of any kind of material mandatory, leaving states and local governments to enact an array of different recycling requirements and laws. Major Recycling Laws in the U.S.
Over the years, the U.S. government has relied on local and state governments to oversee recycling and waste management laws. State and local government regulations fall into two major categories: recycling goals and landfill bans. Landfill bans make disposing enumerated materials such as oil, yard waste and other easily collectible materials illegal. Currently, North Carolina, Michigan, Minnesota, and Wisconsin have landfill bans. Other states such as California and Illinois focus on recycling goals. 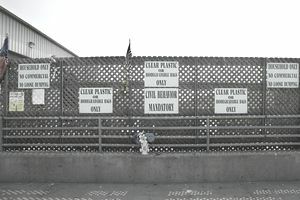 Some states simply encourage recycling of certain materials such as plastic bottles by passing a bill. To date, 25 states have passed laws making state-wide electronic waste recycling mandatory. These 25 states cover 65 percent of the population of the USA. Back in 2003, California was the first to enact the first e-waste recycling law and in 2011, Utah was last in this list. Early History of Recycling in the U.S. In terms of the historical timeline for recycling in the U.S.,1972 marked the first recycling mill in the country, built in Conshohocken, Pennsylvania. In the early 1970s, the first city to mandate recycling was Woodbury, New Jersey. Curbside recycling first began in 1973, and by 2006 there were more than 8,000 curbside recycling programs throughout the country, a number which continues to expand. Every year, America Recycles Day (ARD) is celebrated on November 15, an event which started in 1997 to encourage Americans to recycle more and use recycled products. On that day, across the country, events on recycling education such as the environmental, social and economic benefits of recycling are arranged. The USA has a number of recycling national and local recycling industry associations. The National Recycling Coalition (NRC) is the national recycling association which consists of over 6000 recycling businesses from all across the U.S. Here is a list of local industry associations. Major recycling businesses are also members of international recycling industry associations such as Bureau of International Recycling (BIR) and Institute of Scrap Recycling Industries Inc. (ISRI). In 2012, total yearly waste recovery in the U.S. was 87 million tons. Of that amount, 51 percent consisted paper and paperboard, 22 percent yard trimmings, 9 percent metal, 4 percent food waste, 4 percent glass, 3 percent plastic, and wood and 6 percent other materials. EPA data shows that 70 percent of paper and paperboard and 58 percent of yard trimmings were recovered for recycling in 2012. One of the major challenges for recycling gains by tonnage is that packaging is becoming increasingly lightweight, so improved recycling habits do not readily appear obvious in terms of additional weight of material recycled. One of the most promising areas for improved recycling is in the area of organic waste recovery, as more communities are moving to divert it from landfills. Who recycles more, old people or young people?